Guys, on Friday night, I WAS ON TOP OF THE WORLD! 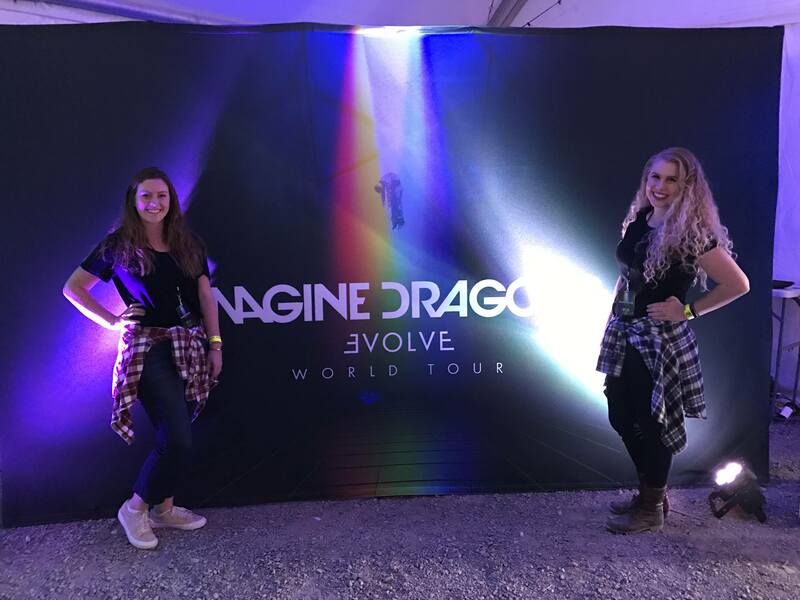 (pun intended😉) Madeline and her mom, Dina, invited me to go to the Imagine Dragons concert with their family, and it was incredible! 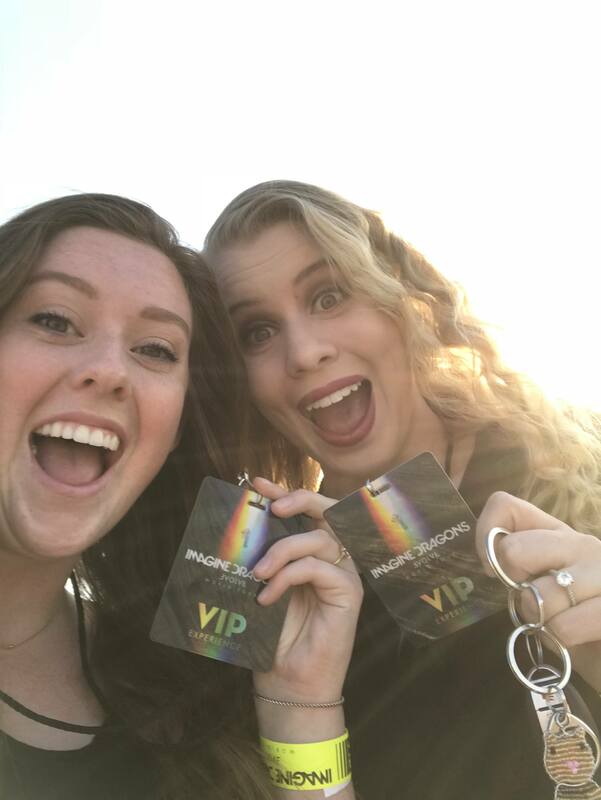 While we were driving there, Dina asked Madeline if she’d told me the big news, and then they dropped that we were going to meet the band. Heart. Stops. Pulse. Rises. Enter: complete mental freak out. AAAAAAAAAAAAHHHHHH!!!! We waited in the tent for a little bit, and we got to look around at some of the items from old music videos and concerts. After that, the staff led us to the back where we got to meet the band and snap a quick picture! It all was so fast, but it was so cool! Everyone was really nice, and they all made a point to shake my hand and say hey! In line, we were all trying to think about what we might say to them, but once I was actually around the backdrop and had a chance, all I could get out was a (super original and intelligent sounding) “Hey. Hi. Hey guys! Man, this is awesome!” and then I walked back around the backdrop and freaked out some more! I was actually with them for maybe 30 seconds, but you could tell in that short time that they are all just genuinely nice people! 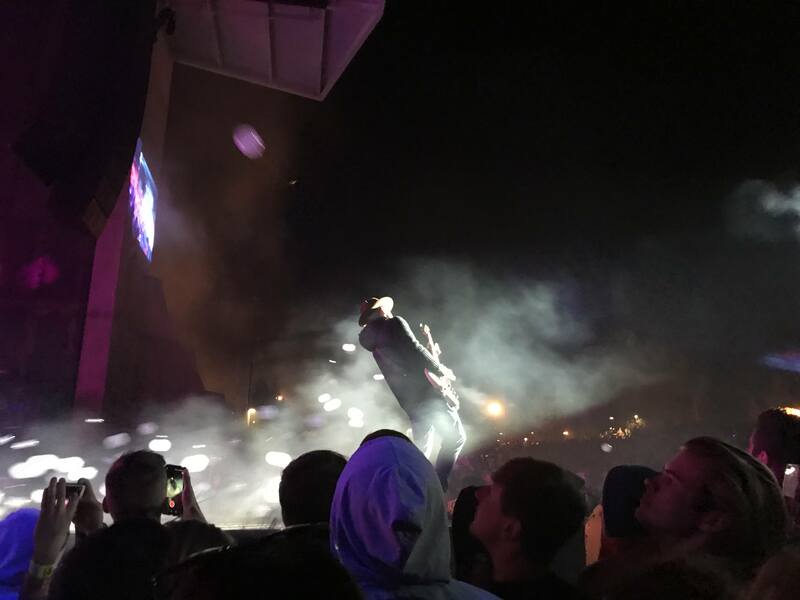 This is the second Imagine Dragons concert that I’ve been too, and they are still dang good performers! They just have a blast while they’re on stage, and they obviously love what they do! I was so impressed with the vocals and the instrumentals! Dan took a minute to talk about how we all come from different backgrounds, but those differences shouldn’t divide us, they should help us come together and be better people. It was awesome! He just came from a place of love and it didn’t feel preachy, it was a nice moment. To summarize: great band, great night, great memories. I am so grateful that Dina and Madeline were kind enough to invite me to come with them! I had a great time, and I am never going to forget how much fun we had! No freeking way! 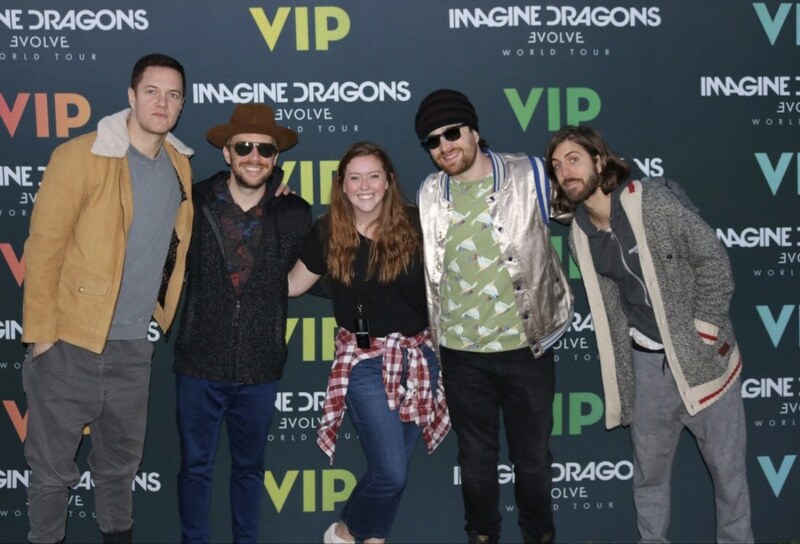 And pic with Imagine Dragons. Dang, I am so jelly!